Take a good look at your URL. If you can easily and accurately predict the content you'd expect to find on the page, your URL is appropriately descriptive. You don't need to spell out every last detail in the URL, but a rough idea is a good starting point. 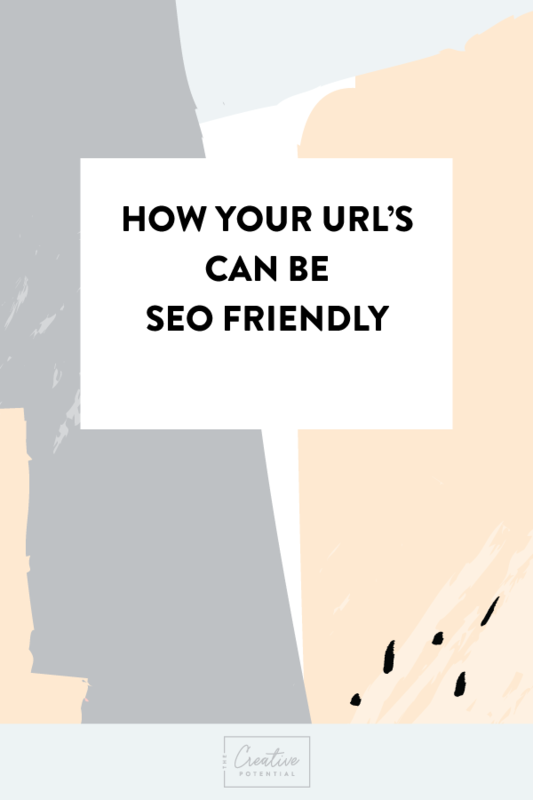 While a descriptive URL is important, minimizing length and trailing slashes will make your URLs easier to copy and paste (into emails, blog posts, social media posts, text messages, etc.) and will be fully visible in the search results. Use Keywords but Don’t Overdo It! If your page is targeting a specific term or phrase, make sure to include it in the URL. However, don't go overboard by trying to stuff in multiple keywords for SEO purposes; overuse will result in less usable URLs and can trip spam filters. The best URLs are easily readable and don't have lots of parameters, numbers, and symbols. Most e-commerce and website platforms will allow you to easily transform your URLs like this one https://yoursite.com/blog?id=123 into a more readable version like this: https://mysite.com/blog/top-shoe-trends. *Creative Biz Tip Alert: Don't go back and change all of your URL's especially if they were shared across social media and used as backlinks on another website. Changing them will cause a nasty 404 error message! Not all web applications accurately interpret separators like underscores (_), plus signs (+), or spaces ( ), so instead use the hyphen character (-) to separate words in a URL, as in the "top-shoe-trends" as mentioned in the URL example above. Want to know more DIY SEO tips. Don't forget to grab our FREE SEO checklist below or check out our SEO posts here and here.